Offering a wide range of sizes and chocolate fountain displays, Chocolate Steel provide an all inclusive package and rental service that can be tailored to your individual requirements. 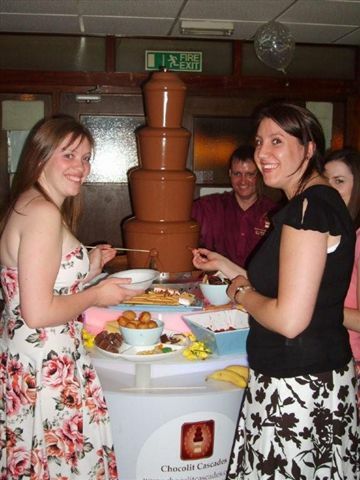 As one of the leading suppliers and rental operators of Chocolate Fondue Fountains in South Yorkshire, Chocolate Steel has amassed a wealth of experience serving both the general public and corporate clients since 2005. 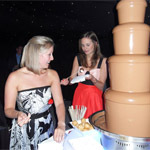 They offer a chocolate fountain hire service covering all venues in Sheffield, Doncaster and Barnsley. Chocolate Steels’ attention to detail, professional approach and tailored service ensures an exceptional experience regardless of your type of event or budget. Chocolate Steel chocolate fountains guarantees to tailor your event to exactly what you envisage.